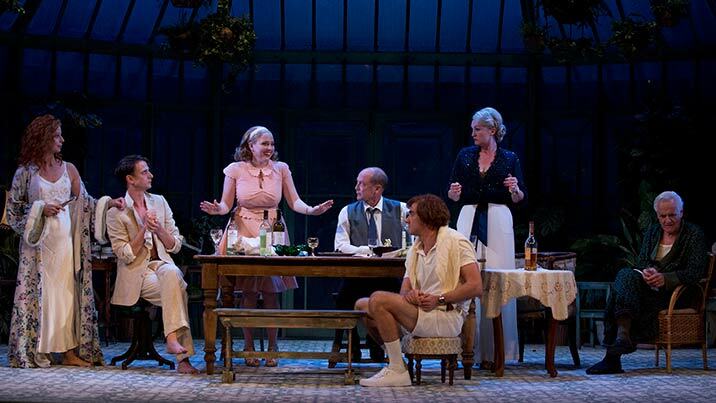 Hay Fever takes place in the comfortable but idiosyncratic home of the Bliss family. Judith, the mother, is a retired stage actress; David, the father, is a novelist. Their grown children, Simon and Sorel, still live at home. 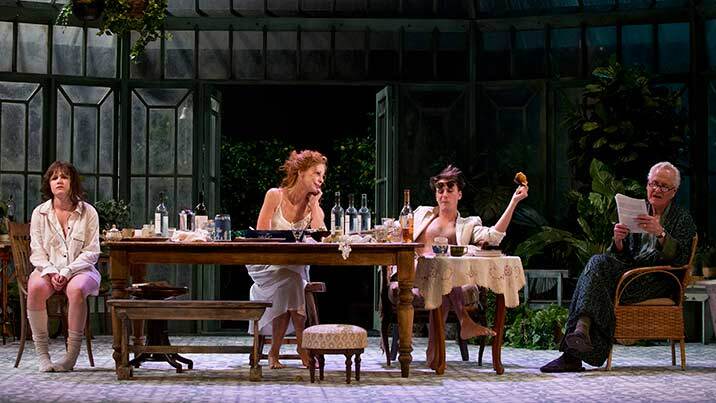 As the play opens, Simon and Sorel are exchanging insults about mutual friends and speculating that their mother is up to something in inviting a young man – who turns out to be called Sandy Tyrell – to the house for the weekend. Meanwhile, Sorel has invited the diplomat Richard Greatham, while Simon adds to the growing household with his guest Myra Arundel. Finally, David comes downstairs from his study to add one last visitor to the list – a young woman named Jackie Coryton. After some internecine squabble and banter, Judith announces her decision to come out of retirement and revive one of her greatest hits, Love’s Whirlwind. As she and the children begin to perform one of their favourite scenes from the play, they are interrupted by the arrival of their guests. The family members greet their visitors and then leave them to fend for themselves. Following dinner, the Blisses and their guests play a charades-like game of Adverbs*. The hosts appear to enjoy the game more than their guests. Once the game is concluded, the family members begin flirtatious liaisons with their visitors, but not necessarily with the guest each invited. The evening draws to a rollicking close as Judith, quite carried away and egged on by the family, reprises scenes from Love’s Whirlwind, much to the horror and consternation of the four house guests. The next morning, Jackie and Sandy conclude that they are dealing with a family that normality eluded. The four beleaguered visitors decide to depart for London in Sandy’s car and hasten to make their escape. Meanwhile, the Blisses gather downstairs for breakfast. David tries to read the final chapter of his novel, The Sinful Woman, to his family but is soon embroiled in an argument with Judith about the geography of Paris. Simon and Sorel cannot help but join the debate. The guests use this moment to slip quietly away. The Blisses settle down to enjoy their breakfast.